New data says US consumers used 16 Exabytes of wireless data in 2017, four times more than in 2014. 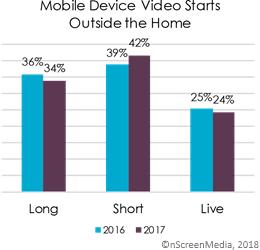 With mobile video plays up 9% year-over-year, no surprise that video is a major driver of the increase. According to the CTIA, mobile data consumption continues to grow strongly in the US. The organization says that American’s used 15.7 Trillion megabytes (15.7 Exabytes) of wireless data in 2017. In 2014, the amount of wireless data used was one-quarter of the 2017 total or 4 Exabytes. The CTIA also says the average smartphone generated more than 5 Gigabytes of data per month. According to OECD data, people in the US are the tenth most prolific wireless data users. Citizens of Finland consume 15.5 Gigabytes of data per month, and Austrians use 11.2 Gigabytes. There are now 1.2 mobile devices for every US citizen, according to the CTIA. Of the 400 million mobile devices, 273 million are smartphones. CTIA says that the smartphone has become more important to consumers than many of their favorite activities. For example, given a choice between their smartphone and chocolate, 80% chose their smartphone. 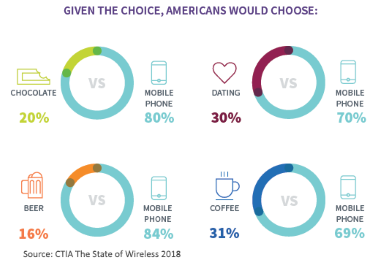 Similarly, 70% chose their phone over dating, 84% chose the phone over beer, and 69% chose the phone over coffee. However, there is one thing consumers love to do that the smartphone lets them do more of: watch video. Ooyala reports that it has seen mobile plays among its US customers increase 9% between Q1 2017 and Q1 2018. Mobile now represents 57% of all video plays. However, all those mobile video plays aren’t just for short-form content. 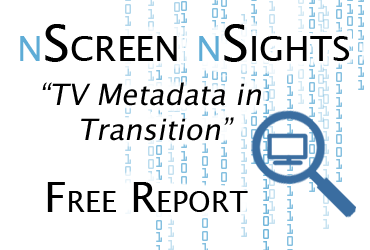 Conviva data analyzed by nScreenMedia in The Secret Life of Streamers Part 2 found that mobile video consumption is balanced. Around a third of premium video plays are for longer episodic video content, 42% are for videos less than 20 minutes in length, and 24% are for live streams. In other words, consumers feel increasingly comfortable watching just about anything on their mobile phones. Mobile wireless video consumption is not just used while on the road. CTIA says that one-in-five people now rely on their mobile wireless plan for home Internet access. 35% of Hispanics and 24% of Blacks rely on mobile wireless at home. One of the things fueling the increasing use of video on mobile is the reemergence of unlimited data plans. All the major US wireless operators offer ‘unlimited’ plans. They typically offer 20-30 Gigabytes of data per month at 4G speeds. After that, speeds drop to 2G and 3G, not enough to reliably stream video. However, 20 Gigabytes is sufficient to stream video every day for 30 minutes or so. Rather than scrambling to find a reliable Wi-Fi network for fear of exceeding the wireless data cap, smartphone users now watch the video they want on mobile wireless data plans. As 5G networks begin to roll out next year, expect to see mobile video consumption driven even higher. Mobile wireless data usage continues to grow in the US. Video consumption is powering the growth. Unlimited wireless data plans are enabling the video consumption.